This month’s Garden Flowers post, which I write with Rona Wheeldon of Flowerona features the top three new plants in the Plant of the Year Award at this year’s RHS Chelsea Flower Show. 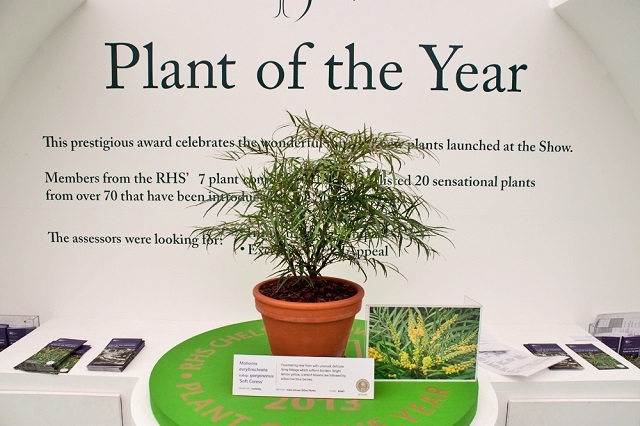 This is one of the least known awards, but it celebrates the exciting range of new plants that are launched at the show each year. The twenty shortlisted entries are presented to a panel of over 100 RHS experts who when deciding on the winner take into account innovation, excellence, impact and appeal. 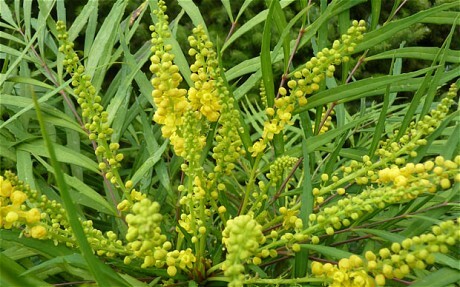 This year, the winning plant was the Mahonia eurybracteata subsp. ganpinensis ‘Soft Caress’. It was introduced by the Dutch nursery Van Son & Koot and also featured in the show garden from SeeAbility. This particular mahonia is an unusual form because its foliage is delicate and ferny, which brings a softness to the planting. It’s a compact form with a maximum height and spread of 1m, which makes it ideal for small gardens. And it would also work well in a large planter. Like other mahonias, the highly scented flowers are bright yellow and appear from late autumn and last through the winter. These are then followed by attractive blue berries. 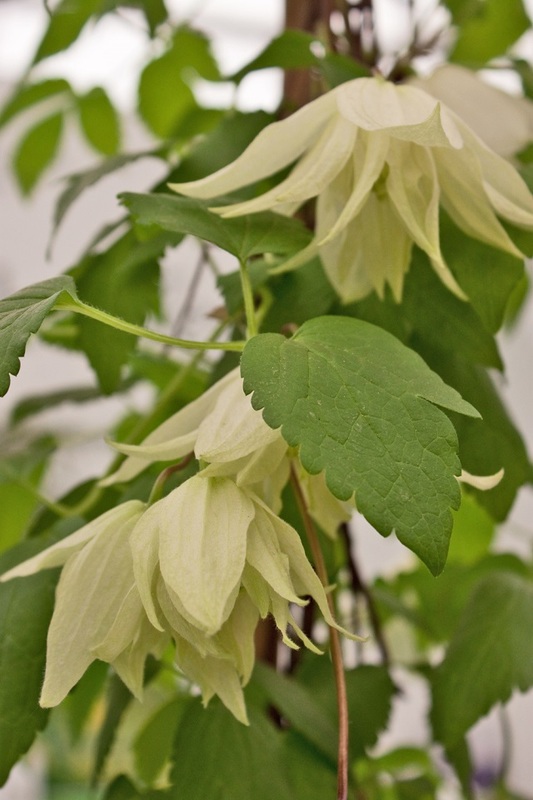 Second place was awarded to Clematis ‘Lemon Dream’ which, for a spring-flowering clematis, has unusually large double flowers. It’s very hardy and has a subtle grapefruit scent. It was introduced by Thorncroft. 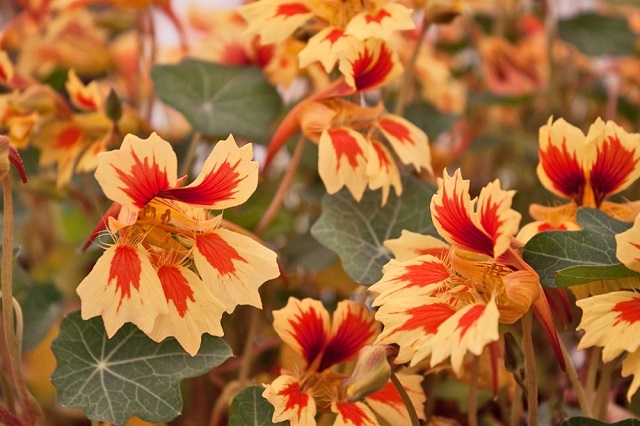 Third place was awarded to Tropaeolum ‘Fruit Salad’, introduced by last year’s winners Thompson and Morgan. This compact, vigorous nasturtium trails or climbs and has fragrant, bicoloured flowers which are edible and have attractive serrated petals.